Human-animal chimeras may sound like science fiction, but they have the potential to revolutionize medical research. Recently, a leading international health organization announced its future investments about creating human-animal hybrid chimeras by injecting human stem cells into animal embryos. Even though this advancement creates many controversial points about its moral issues, this emerging technology may produce enormous benefits for human beings. The mixing of human and animal genetic material has a long history in science and has been used in number of different ways to greatly progress medical research. The fusion of human and animal cells (to create somatic cell hybrids) is extensively used in research and was a technique first used in 1970s/80s in the mapping of the human genome and to investigate the interactions between the nuclear and mitochondrial genomes. The creation of transgenic animals, in which a human gene is introduced into the germline of an animal and therefore transmitted to all the cells in the offspring, is a long-established technique used for production of pharmaceutical products and as a model for human diseases. The production of growth hormone in the serum of transgenic mice in 1982 was the first example of the production of a human therapeutic protein from an animal. The introduction of gene sequences into mice has allowed scientists to identify and understand the role of particular genes in a large number of diseases e.g. mouse strain with the gene for Alzheimer’s disease. 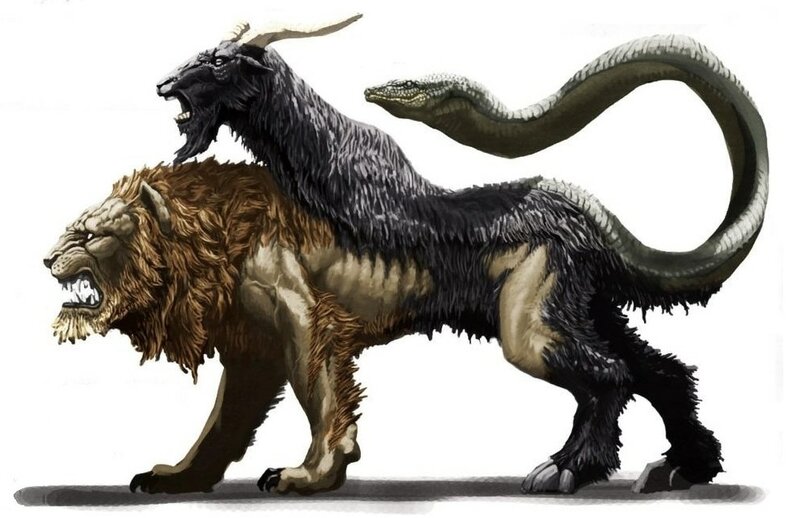 The name chimera comes from Greek mythology and it describes a creature with the head of a lion, the body of a goat, and the tail of a serpent. Chimera: in medicinal terms, is a person composed of two genetically distinct types of cells. Basically, human chimeras were first discovered with the advent of blood typing when it was found that some people had more than one blood type. Most of them proved to be “blood chimeras” as non-identical twins who shared a blood supply in the uterus. Those who were not twins are thought to have blood cells from a twin that died early in gestation. However, to create a chimera, scientists introduce cells from one species into the developing embryo or fetus of another. Stem cells are the foundation for every organ and tissue in our body. There are many different types of stem cells that come from different places in the body or are formed at different times in our lives. These include embryonic stem cells that exist only at the earliest stages of development and various types of tissue-specific stem cells that appear during fetal development and remain in our bodies throughout life. All stem cells can self-renew and differentiate (develop into more specialized cells). Beyond these two critical abilities, though, stem cells vary widely in what they can and cannot do and in the circumstances under which they can and cannot do certain things. This is one of the reasons why researchers use all types of stem cells in their investigations. “Embryo” is the term for humans and other mammals in the stage of development between fertilization and the end of the eighth week of gestation, whereupon the being is referred to as a fetus until the time of birth. Embryonic stem cells are obtained from the inner cell mass of the blastocyst, a mainly hollow ball of cells that, in the human, forms three to five days after an egg cell is fertilized by a sperm. In normal development, the cells inside the inner cell mass will give rise to the more specialized cells that give rise to the entire body—all of our tissues and organs. However, when scientists extract the inner cell mass and grow these cells in special laboratory conditions, they retain the properties of embryonic stem cells.Embryonic stem cells are pluripotent, meaning that they can give rise to every cell type in the fully formed body, but not the placenta and umbilical cord. Human embryonic stem cells have been derived primarily from blastocysts created by in vitro fertilization (IVF) for assisted reproduction that were no longer needed. The stem cells will be used to grow the desired new organ in a large animal. The organ is then harvested to be transplanted back into the patient’s body. Because the organ is made of the patient’s own cells, the risk of immune rejection is little.The creation and development of these embryos to blastocyst stage will, in theory, allow the production of embryonic stem cells which are genetically related to the donor cell. This technique holds the key to potentially significant advances in medicine as it could be used to produce disease specific embryonic stem cell lines in order to model diseases and screening for drug therapies. Also, embryonic stem cells produced in this way could be differentiated into most cell types and in theory used as a source of patient specific cells to replace damaged tissue (the concept known as therapeutic cloning). There is already the evidence that human embryonic stem cells, derived from IVF embryos, have the potential to develop into a vast array of cell types. It has also been suggested that embryos created in this way could be used to investigate the mechanism used to reprogram DNA to a pluripotent embryonic state and this knowledge could potentially be used to create methods to produce stem cells from somatic cells (therefore avoiding the use of human eggs and embryos). In addition, as cytoplasmic hybrids will contain animal derived, and possibly some human derived mitochondria, they could be a useful tool to study mitochondrial disease and the relationship between the mitochondria and the nucleus. When we investigate about the technological advantages and disadvantages in nonhuman primates, it’s an obvious advantage of using nonhuman primates as they are physiologically and morphologically closely related to humans and thus provide one of the most easily validated animal models for the study of human biology. Their reproductive physiology is also advantageously similar to that of humans but by the same token can pose an inconvenience due to long gestation times (relative to smaller animals) and thus possible temporal constraints on experiments. Large body size also demands a scaling-up of technical procedures and instrumentation, which can be an advantage for procedures originally designed for humans but a disadvantage with procedures designed for rodents.However, the possibility to create animal chimeras carrying human organs is associated with ethical objections because the respect to both high level of cognitive development in primates and issues of species conservation. In addition, affective relationships that can develop between the animal and the researcher can be problematic. Nevertheless, nonhuman primates have become important animal models in stem cell research primarily because of their close biological relationship to humans. ……………………………………………………………..…….. In conclusion, fear born from ignorance will naturally result in a spontaneous reluctance towards or rejection of the concept of animals bearing human organs. These ethical issues must therefore be debated now and the public should be involved in these discussions. Scientists and physicians have a critical role in explaining the medical needs, the advantages and limits of this potential medical procedure and the ethical boundaries that must not be trespassed. If these prerequisites are met, acceptance of such a new, borderline medical procedure may prevail for the betterment of human species. Rakitha is a contributor at Nerdynaut.